The Family who licks together… Sticks together! lick each other!!! How could I have been so wrong? 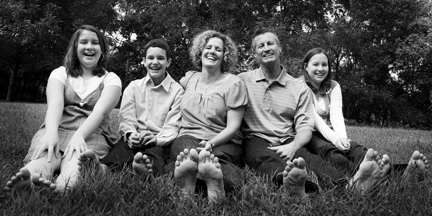 Tongue-wagging aside, the Enger family couldn’t have been more fun or easy to photograph. David especially loooooves them, since they’re from his happy place – Texas. : ) The kids stayed waaaaaay out of the way while mom and dad did some lovey pictures. I love the connection & sparkle in this one. And, the hallmark of a really good session? Gettin’ your feet dirty. Thanks to the Engers for making the morning so easy and fun.